The Nobadeer Arbor is an unusual natural cedar arbor with it's distinctive two post design fits where others don't, yet still evokes a style of times past. Careful attention to detail and craftsmanship, such as the fluted edges, set this arbor apart from the imitations. The single side posts provide a perfect place for your flowers or vines to climb, making this arbor one with your garden. 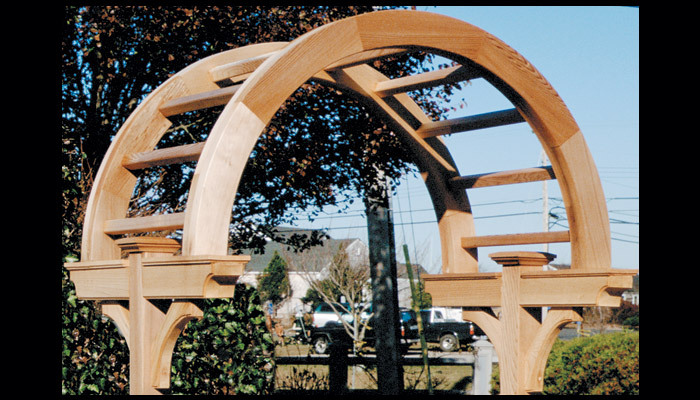 This Garden Arbor is available in a wide range of sizes between 3' and 6' to fit your specific needs. Add in some Low Voltage Lighting for a night time look that truly appleals to the senses. Nobadeer Arbors are hand made in Vermont out of the highest quality, knot free Western Red Cedar with furniture grade joinery. They are shipped well sanded and unfinished and can be painted, stained, or allowed to weather naturally. For ease of installation Nobadeer Arbors feature doweled pins to fit predrilled posts, caps, and arches. Stainless steel fasteners are used throughout the construction where needed. Gates also available (sold separately) - shown with surfside gate in photo. Nobadeer Arbors are measured from inside of post to inside of post. For example, the 4' arbor has a true inside measurement of 48". Keep in mind that posts will also take up space so if you have a tight fitting area, you will need to account for this. 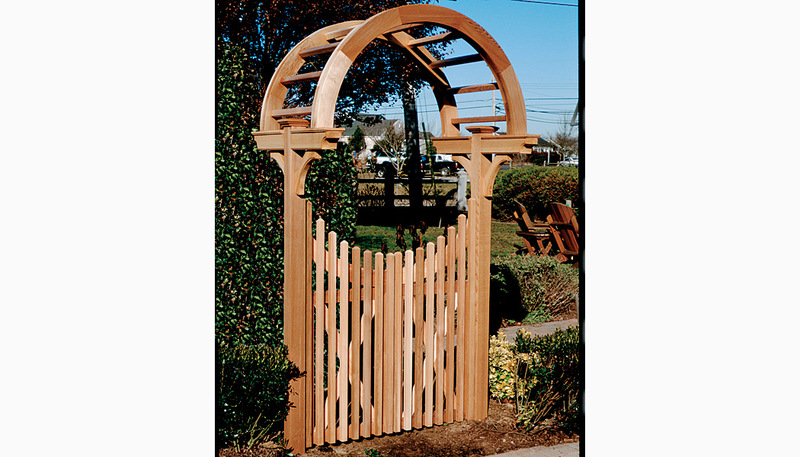 Nobadeer Arbor is a standard 4 x 4 arbor - actual post and arch dimension is 3-1/2" x 3-1/2".